WORLD CHAMPION Rob Cross ended Michael Smith's unbeaten start to the 2018 Unibet Premier League, as Michael van Gerwen moved into top spot in front of 8,000 fans at the First Direct Arena in Leeds. 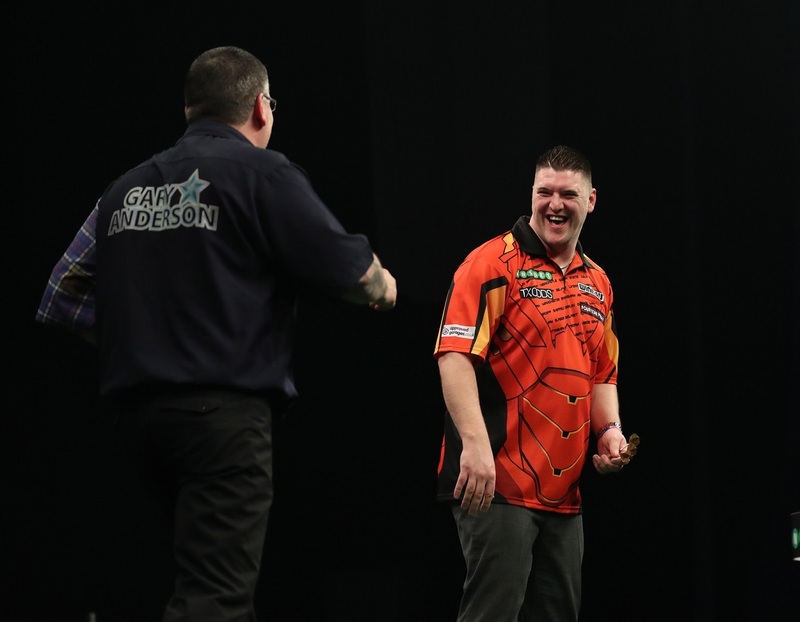 The season's fifth league night also saw Raymond van Barneveld and Mensur Suljovic pick up wins with Daryl Gurney and Gary Anderson sharing the spoils in their encounter. 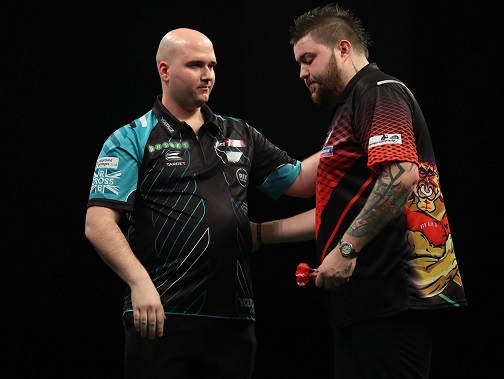 Smith began the night at the top of the table after winning his opening four matches in his return to the Premier League, but was unable to continue his run as he came up against Cross, who had to come from 5-3 behind to seal a win which moves him up to fourth place. Inspired finishes of 112 and 121 on the bull, in the final leg, gave Cross his third consecutive Premier League win after a slow start to the campaign. "That bull finish at the end was massive," admitted Cross. "It's good to have that when you really need it. "I'm starting to feel more comfortable and relaxed now but I need to start matches quicker and not give people a start. "I play Mensur Suljovic next week and I know I need to be better and put the pressure on throughout, not just at the end of matches." Reigning champion Van Gerwen moved into top spot for the first time this year as he saw off Simon Whitlock to register his fourth victory in five matches. The world number one opened the night with the aim of putting the pressure on table-topper Smith, who sat two points clear of the Dutchman. 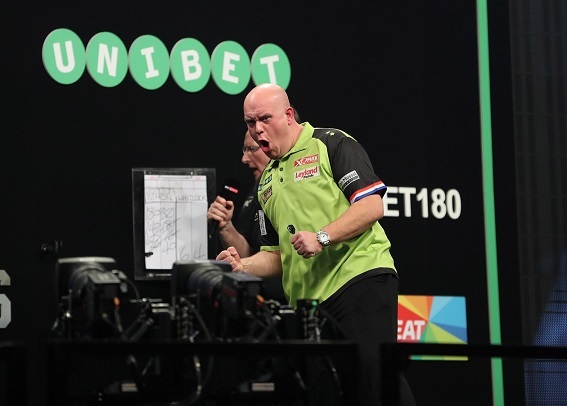 Despite averaging almost ten points more than his opponent throughout the match, Van Gerwen was broken twice by the Australian and needed a finish of 110 in the sixth leg to level the match. The 28-year-old then took control of the encounter by winning four of the next five legs to secure the points, averaging 100.17. "I had to work, it wasn't my best performance. I played OK but I am not in my best form at the moment," said the two-time World Champion, who was knocked out of the UK Open in round three last weekend. "Fortunately my B-game was enough tonight against Simon and I showed character, and sometimes you need that. I'm really pleased with the two points but I know I can do better than that." 2014 Premier League champion Van Barneveld came from behind to deny Gerwyn Price his first Premier League victory as the Dutchman secured a 7-5 victory. A nervy start from the pair saw four consecutive breaks of throw to open the match before Price went on to take a 5-3 lead. The five-time World Champion then rediscovered his form by taking out 121 in the ninth leg to break the throw before taking out 101 in the 11th to break again and take a lead 6-5, before a delightful 89 finish on the bull sealed the victory. The win leaves Van Barneveld on five points after five weeks and moves him further away from danger as Judgement Night draws closer. 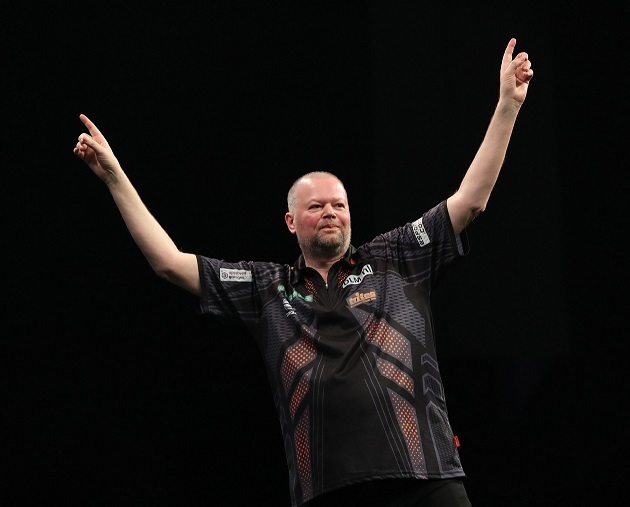 "The PDC announced there would be two nights in Rotterdam this year so as a Dutchman you want to be there and not be eliminated before that, so this is a really big win," said the 50-year-old. "This is a very important win for me and I'm happy. Maybe Gerwyn deserved a point but sometimes that's how it goes. "I didn't give up. It's so important to qualify for the second half of the season, and I'm on five points now but I've still got to get ready for the next four weeks. "The crowd were fantastic and I loved it on stage tonight, I got an amazing reception." Suljovic brushed world number two Peter Wright aside as the Austrian claimed a 7-1 win in Leeds, averaging 103.01. 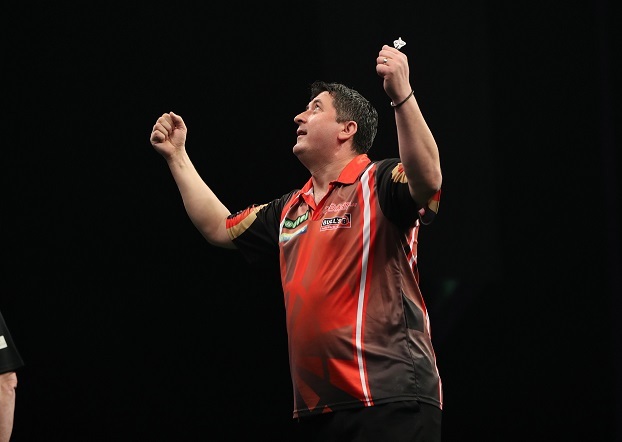 An out-of-sorts Wright was punished in style with Suljovic winning seven consecutive legs to move onto four points his debut Premier League campaign with a second successive win. "Today Peter didn't play well but I am so happy to win," said Suljovic. "I beat Peter Wright and I am so happy to be in the Premier League, I am ready for the Premier League now." Newly crowned UK Open champion Gary Anderson survived two missed match darts from Daryl Gurney to secure a six-all draw and a point to remain clear of the elimination zone. A win for the Northern Irishman would have seen him leapfrog Anderson and move clear of danger, but he remains second from bottom after failing to capitalise on the chances he created. "It's very frustrating, I thought the double 12 was in and I thought the double six was in but you have to give credit to Gary for sticking in there," said Gurney. "I am playing well, not my best, but still getting opportunities. I'm missing the chances but that's the way it goes sometimes." The draw leaves Anderson a point behind Van Barneveld in fourth and just outside the Play-Off spots in a congested mid-table. "I'm scrapping," said Anderson. "I'm not at the top but I'm ready to fight now, before I'd have given in but now I'm up for the fight and keep plodding on."